Springtime Nature in New Jersey: I DON’T LIKE TICKS!!! Ever since I got home and came in after taking the bee images, I kept feeling something crawling on me. I didn’t find anything and thought it was the ants that have invaded the house while I was on the Enrichment Voyage. Finally, I found a tick crawling on my shoulder. 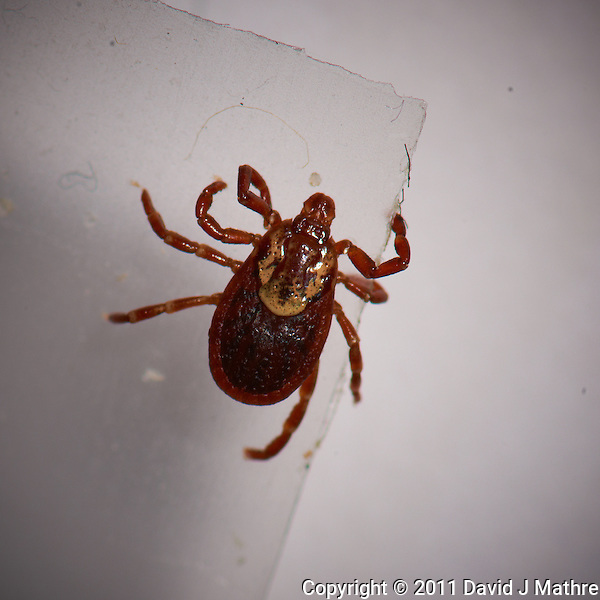 I think that it is a female dog tick and not a deer tick. I don’t like any type of ticks. I don’t know if this was the only one, but to make sure all of my cloths and bedding are now in the washing machine. Dog Tick? Image taken with a Nikon D3x and 105 mm f/2.8 AF-S VR Macro + TC-E 20 teleconverter (ISO 100, 210 mm, f/22, 1/600 sec). Ring Flash. Raw image processed with Capture One 6 Pro, Focus Magic, Nik Define 2, and Photoshop CS5.